What are the Most Common Dental Emergencies? Even the most reluctant patients see our 24 hour emergency dentist when they’re in a lot of pain. We do everything in our power to quickly diagnose the problem and come to a solution to ease dental pain and restore teeth. We understand that you may have some anxiety about going to the dentist. However, it’s also important that you see our emergency dentist in Holland, Michigan as soon as you suspect there’s an issue with your oral health. Continue reading to learn about the most common dental emergencies and how you can avoid them as much as possible. Toothaches are one of the most common dental emergencies we treat. If you have a sudden toothache, try flossing gently between teeth and rinsing with warm water. Sometimes food particles can get caught between teeth, irritating the gums. If this solves your problem, you won’t need emergency dental care. If your toothache persists, you’ll need to schedule an appointment with our 24 hour dentist in Holland, MI. Treating a cavity early could mean the difference between getting a simple filling and needing an emergency root canal. Our emergency dentist will also have more options to treat your tooth, the sooner he’s able to see you. A dental abscess is a pocket of infection that may look like a pimple on the surface of your gums. If you notice a dental abscess, schedule an appointment with our office as soon as possible. A dental abscess may be a sign that you need a root canal to save an infected tooth. Once a cavity is deep enough to penetrate the inner chamber of your tooth, only a root canal will be able to help you avoid emergency tooth extraction. Bleeding swollen gums could be a sign you have gum disease. Gum disease is often caused by untreated dental plaque on the surface of your gums. While early gum disease (gingivitis) can be treated in its early stages, the same can’t be said once it progresses into periodontal disease. If you suspect you have gum disease, schedule an appointment with our emergency dentist as soon as possible. The best way to reverse early gum disease is to adopt a healthy oral hygiene routine and schedule a routine teeth cleaning at least every 6 months. While some people are able to keep their wisdom teeth without any issues, this isn’t true for all of our patients. If you experience pain and/or inflammation around your wisdom teeth, don’t hesitate to call our office as soon as possible. Not all our patients have space in their jaws to accommodate these third molars that erupt between the late teens and early twenties. When this happens, wisdom teeth can come in crooked or even get trapped underneath the gums, which can lead to issues. Fortunately, our dentist has experience with wisdom tooth extraction and is here to help. If you play a contact sport, you have a higher risk of being hit in the mouth and needing emergency dental care. Fortunately, our dentist is able to create a custom mouth guard that protects your upper teeth so you can focus on the game. Wearing a sports mouth guard gives you peace of mind so you can avoid experiencing accidental trauma to teeth. 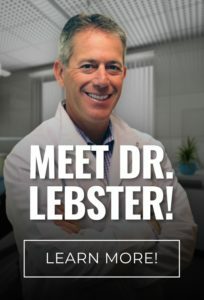 Dr. Ryan Lebster DDS is on call 24 hours a day, 365 days a year. Our Holland emergency dentist does everything in his power to save your smile after injury or illness. To request an appointment with our 24 hour emergency dentist, call RediDental Emergency Dental Care at (616) 796-3200.